Downloaded this book on the kindle some days back. Yet to start reading it. 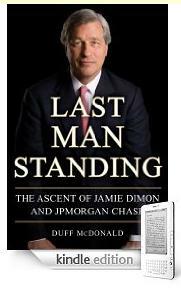 I admire the way Jamie Dimon steered JPMChase out of the woods back in 2008 and kept it profitable till date and in the process making some spectacular acqusitions. I had read a FORTUNE article on him back then as well which was really informative so am sure this biography will be enthralling. My amazon kindle2 just got better! amazon.com released a major software update to the kindle2 which I installed on my kindle2 today. Book review / Who says Elephants can’t dance? 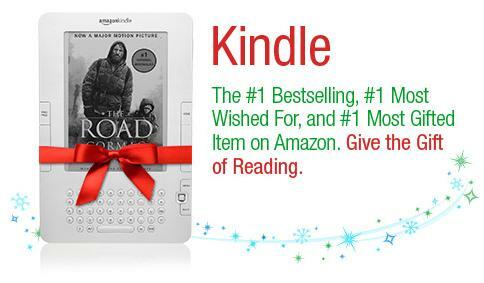 I read this book on my kindle and it was the first book completed and was really a good reading experience overall – no frills, just does the job – effectively. Lou Gerstner turned around IBM in the 1990’s before the current Chairman and CEO, Sam Palmisano, took over. IBM was a goliath that was being eaten raw by the huge Microsoft’s and the Intel’s and all the other David’s back then and it led to his historic turnaround which in many ways reminds me of reading up Jack Welch’s book on GE’s turnaround (I read it in 2002). Scintillating book filled with common sense, candor, facing reality and a clear book on how strategy decisions can be taken to make even ‘Elephant’s dance’ and turn the big Blue to a nimble footed giant. This is a must read for Manager’s and aspiring CEO’s. This was my fourth book on my kindle. At the rate I am downloading books on my kindle through amazon.com’s Whispernet, I have to control my reading habits! This was the third book on my kindle2. It downloaded effortlessly on my kindle using Whispernet in less than 4 minutes. Given the EDGE (Enhanced data rates for GSM evolution) we get in India, this is very good. I was researching excerpts of this book way back in 2006 for my Project Report on General Motors (GM) and Toyota and was enthralled with it since then so it’s after three long years that I have managed to lay my hands on this piece of beauty! My kindle2 now supports Wikipedia! How cool is this? I came across this on some blog and decided to check it out. It works – flawlessly! The first word I searched for on my kindle was, well, you guessed it, “kindle”! The web browser functionality of the kindle is still disabled as it’s not enabled for International editions of the kindle anyway – this is a known point.